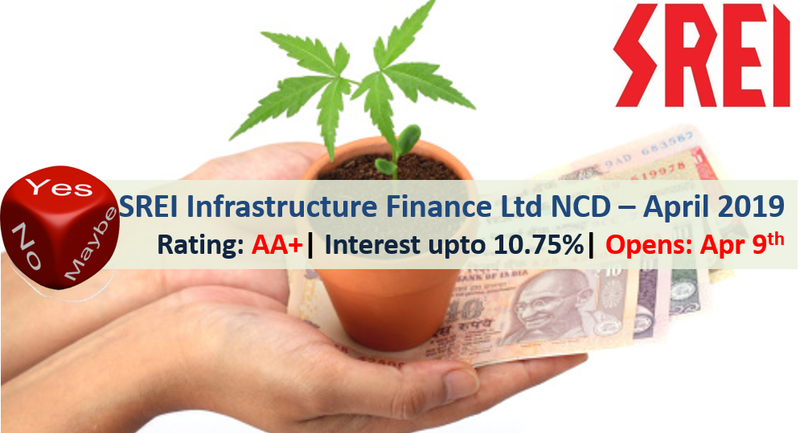 10.75% SREI Infrastructure Finance Limited NCD – Apr'19 – Should you Invest? Incorporated in 1985, Kolkata-based SIFL is a listed company and is in the business of financing infrastructure projects and equipment. It has come out with public issue of non-convertible debentures (NCD) offering up to 10.75% interest rate. There are 8 options of investment in SREI Infrastructure Finance NCD. SREI Infrastructure Finance NCD – Who can Apply? High degree of Debt as compared to tangible assets, which means in rare event of liquidation company may not be able to service all debts.